Alan Pardew does not think Loic Remy will be returning to Newcastle United. Newcastle United manager Alan Pardew has revealed that he remains confident of tying up a loan deal for Shakhtar Donetsk striker Facundo Ferreyra. The 23-year-old Argentine is keen to leave Shakhtar because of the ongoing conflict in Ukraine. Pardew has already made six signings this summer but is a big fan of former Velez Sarsfield and Banfield striker Ferreyra, who scored six goals in only five starts for Shakhtar last term. "It's something that is not done, but we're working to see if that can happen," Pardew confirmed. We've not really had much contact with Loic and I don't see that evolving if I'm honest. "Facundo is a good presence on the pitch, a big guy at 6ft 2in, a player who has gone to the Ukraine and has been OK. If we manage to secure him, he would be a player who we'd expect to do a lot better here." Pardew has turned his attention towards Ferreyra after admitting that the possibility of bringing Loic Remy back to Tyneside is looking increasingly unlikely. The Frenchman, who saw a permanent switch from QPR to Liverpool break down last month, scored 14 goals in 27 games for the Magpies during a season-long loan spell in the north-east. 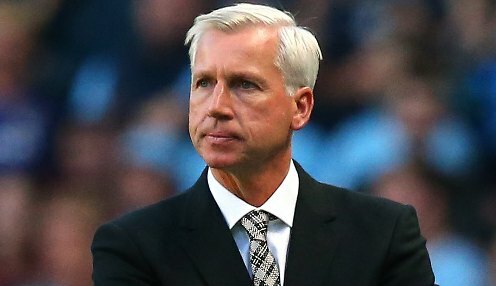 Pardew added: "We've not really had much contact with Loic and I don't see that evolving if I'm honest. Whatever happened at Liverpool is irrelevant really, because he's had plenty of chances to come to us. "We've made it clear we'd want to have him but it hasn't really happened and therefore you sometimes have to say where is the line drawn. Maybe that one has gone away." Newcastle United are 1/1 to finish in the top half of the Premier League in the 2014-15 season and 1/1 to secure a top-six spot. Remy is 1/1 to be the Premier League's top goalscorer this term. Don't forget, all Premier League matches are covered by the bet365 100% Euro Soccer Bonus, where you could earn a bonus of up to 100% on your returns on pre-match accumulator bets.